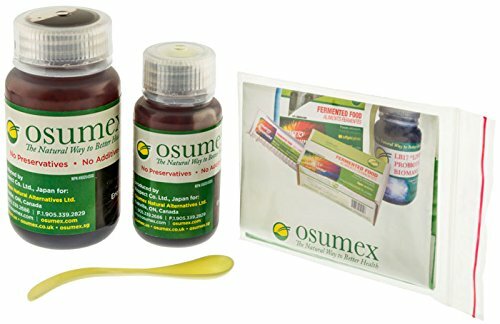 LB17 Live Probiotic Biomass (paste without capsule) 100gm by Osumex at Maximum Wellness. Hurry! Limited time offer. Offer valid only while supplies last. Probiotics are very important for digestive health as the good bacteria are important to help with digestion and absorption of nutrients consumed. Probiotics are very important for digestive health as the good bacteria are important to help with digestion and absorption of nutrients consumed. Bacteria count is not important but make sure that the bacteria is live and not freeze dried. The more strains of bacteria there are, the better probiotic as different bacteria work at different sections of the GI tract and perform different functions. If you have any questions about this product by Osumex, contact us by completing and submitting the form below. If you are looking for a specif part number, please include it with your message.